If you’re coming in to see us for the first time, we’d like you to know exactly what to expect. We want you to feel relaxed and comfortable as we promise you a good experience. Our office has been described as “modern, clean and fresh.” You’ll find that our staff is all smiles, welcoming, helpful, friendly and caring. Dr. Keith (Chiropractor) himself is a very gentle, pleasant person, and an excellent listener. He cares about his clients tremendously and is committed to working with you to achieve your health goals. 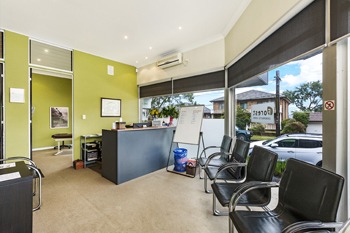 Welcome to Forest Chiropractic Wellness Centre! Before your first visit, we ask that you complete our short online Spinal Health Assessment questionnaire, which will assist the doctor in determining the current state of your spinal health and any contributing lifestyle factors. Please submit this assessment before your first visit. If you don’t have online access, we’re happy to have you fill out this important information when you come in for your first appointment – it only takes about five minutes to complete. Please budget about 45-60 minutes for this first visit, and wear loose, comfortable clothing for your evaluation. Your first appointment will include a thorough consultation and examination, and if it’s determined that X-rays are necessary we will make recommendations to have those bulk-billed at another facility. During the consultation, Dr. Keith will listen carefully to your health concerns and take a complete health history. 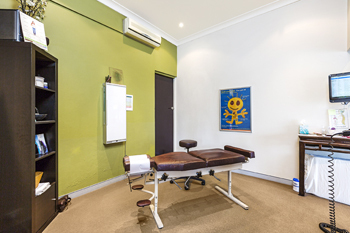 Your adjustments will take place in one of our relaxing exam rooms. We suggest that you read the outcome of your comprehensive Spinal Health Assessment online before your second appointment. Dr. Keith will also review these results with you personally and give you the opportunity to ask any questions that you may have. At that time, he’ll be able to isolate the source of your problem, and give you suggestions as to how to improve or eliminate your condition. Care recommendations will also be thoroughly discussed while taking into consideration your personal health goals and circumstances. You’ll also receive your first chiropractic adjustment at this time and will be able to embark upon the gentle road to spinal recovery! During your third visit, Dr. Keith will be able to present you with a chiropractic care plan, based on your clinical findings and health goals. Do I Have to Keep Visiting for My Entire Life? As the client, you get to decide which route is best for you. How long do you need to keep brushing your teeth? How long do you need to keep exercising? How long do you need to keep eating healthy foods? How long do you need to keep thinking positively? For as long as you want to stay healthy! When it’s understood what role the spine plays in brain function and physiology, and spine related quality of life, a lot of clients choose to stay on a maintenance care program, often in the absence of pain or visible dysfunction. The frequency of maintenance care, if you choose it, is entirely dependent on your lifestyle habits and individual preference. We offer same-day appointments and are open late. Ample free parking is available. Contact us today!